I feel like I should be used to it by now, but I never am. I look at his face as his eyes look at me; not into my eyes as if we were having a conversation, but up and down my body. He looks at my coat and then at my shoes before turning to look both my children up and down for what feels like an eternity. Then he sighs and finally starts punching my son’s Medicaid ID information into the emergency room computer system. The hospital staffer doesn’t say anything about what he is thinking, but he doesn’t need to. “So you have no other insurance, like from a job or anything ma’am?” he asks me. “No,” I reply back. “I am working but I do not have insurance through my job.” I shove my smartphone a little deeper into my pocket and try to sound chipper, assuring myself that maybe if I’m just a little bit friendlier, he won’t dislike my kids and I so much. But judging by the scowl on his face, I don’t really think my efforts matter. To this stranger, I am nothing more than a welfare scammer; one of the many people who parade in and out of his hospital registration room on a daily basis while looking nicely dressed and carrying smartphones. I wasn’t even human to him; I was just a lazy mother who was a dent in his paycheck. He “knew” what kind of person I was before I even opened my mouth because he could see what I looked like. 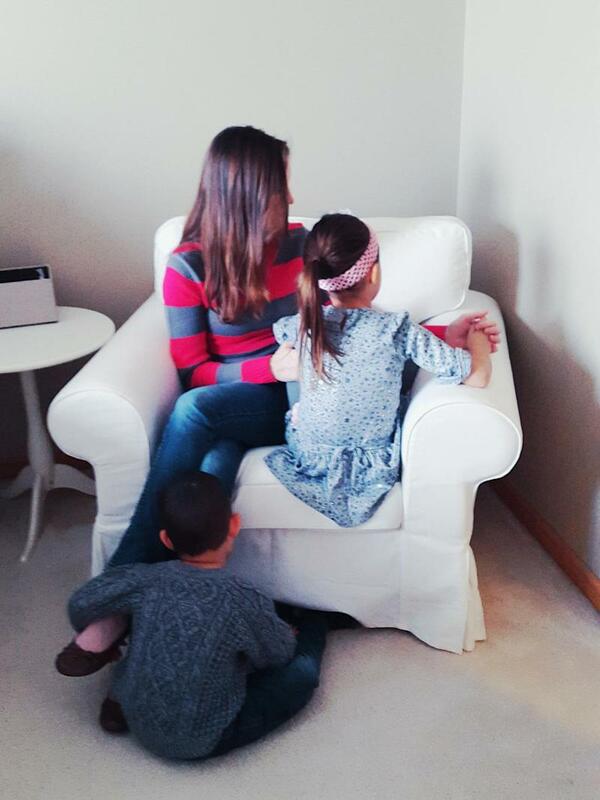 When my husband left me and our two kids, I was a stay-at-home mom. Because both of our children were born with special needs that require a lot of time and attention, and I have a health condition that makes full-time employment difficult, it made more sense for me to stay home with the kids and for him to go to work. His departure was unexpected and when he left, he cleared out the bank account and left me financially ruined. I’ve done my best to track him down and get child support, but his ever-changing location and affinity for working under the table has made that a seemingly impossible task and, because of that, child support has never been a regular or stable source of income. I’m not giving up that battle, but in the meantime, I’m having a difficult time getting back on my feet and caring for two kids with special needs. A long-term career is my goal, but I have been forced to rely on public assistance to bridge the gap between what I do earn from working and what I really need to make to survive. That’s why the day I marched into the welfare office desperately seeking help to take care of my kids will always resound in my mind as one of the most mortifying days of my life. I was now one of those people… except that I wasn’t. From the minute my husband left, I started putting a plan together to fix my life and provide for my kids, but that is easier said than done. I was still married, and getting divorced when you can’t find your husband is not easy. The courts don’t want partners to be able to secretly get divorced without their spouse given the ability to defend themselves in court, so getting divorced when you literally can’t find your partner complicates the process. But if you don’t get divorced, you are forever tied to your spouse’s income, debts, and liabilities. I couldn’t even close our joint bank account without his signature or a divorce decree — an account that he was repeatedly overdrawing, which was hurting my credit score. I had no money, and yet I didn’t qualify for the public assistance that I needed to get back on my feet, because I was legally tied to my husband’s income — a husband I couldn’t find and an income I had no access to. But getting divorced without him was still by far the easiest part of what I went through — because figuring out where my kids and I were going to live was significantly harder. In the week that my husband first disappeared, he maxed out all of our joint credit cards and overdrew our bank account, causing my credit score to crash and burn. Since I had been a stay-at-home mom for the past several years, I didn’t have the credit or job history needed to qualify for an apartment rental. Not that I would have been able to afford rent, anyway. Then, learning that my area has a five-year waiting list for government-subsidized housing sent me into a panic. A year later, thanks to the the pro bono assistance of a local real estate attorney who filed three paper reams worth of documents, I was approved for the government’s HAMP program, which allowed me to pull my house out of foreclosure and modify my old mortgage payment down to a monthly payment that is less than half of what an apartment would cost. I am not going to lie, it’s a nice home to live in: Wood floors, quartz and granite counter tops, crown molding. But it’s also a cheap home to live in, which is great because we are living well below the poverty line — a situation you probably wouldn’t know I’m in if you just looked at my home. People can’t tell just by looking at me and my kids that I’ve sold a majority of the furniture in my home to pay pills, that I’ve pawned all my jewelry, and that the kids have said many good-byes to toys they love at garage sales to try and stay afloat. No one would know that we no longer own our video game systems, DVD collection, desktop computer, or my bicycle. People don’t notice that my nearly 5-year-old son is still sleeping in his converted crib because I can’t afford a new bed. People see furniture in my home and apparently assume that poor kids don’t deserve a place to sleep, furniture on which to eat, or anything to sit on other than the floor. Yes, I carry a smartphone — but it’s cheaper to pay for the lowest phone plan than to pay for home internet on a monthly basis. By hooking up my phone to my computer for Internet, I’m saving a good chunk of change, but you would never know that unless you asked. Just like you would never know that I’m thin because I’m sometimes hungry, and that because I’m thin, I’m wearing the Abercrombie clothes that were passed down to me by a friend’s teenage daughter. But people never ask, they just judge. They judge me for having my nails done, not knowing that I do them myself with nail polish from the dollar store, and they judge me for the clothes that my kids wear; hand-me-downs mailed to us all the way from Florida by a sweet friend with kids older than mine. They judge me for having a car, not privilege to the information that my church paid for most of it so that I had a reliable way to even attempt to pull my life back together. They judge us when they hear that I took my daughter to ballet class, not understanding that the YMCA is a nonprofit organization that provides free and reduced classes to financially eligible families. And they judge me when my dear friends — who know how stressed out I always am — treat me to a night out with them. Instead people just judge me for everything that they think they know about me and not by anything they actually care to learn. To strangers, I’m just the mother with the nice phone, pink nails, and two well-dressed kids who is handing them a Medicaid card. To them, I’m just the only kind of welfare recipient they have ever heard of, a scammer. And I’m not really sure what to do about this. Should I move my kids into a shelter just so that we can appear poor? Should I stop bathing them, maybe ruffle up their hair a little bit, and make them wear clothes that are too small? Should I pull my daughter out of ballet so that we don’t look like we are having too much fun in life? Stop painting my nails and let myself look every bit as bad on the outside as I feel on the inside? Because that is how I feel on the inside, I feel bad. I feel bad that I can’t always provide for my kids and that, despite my best efforts, I’m not totally back on my feet yet. I feel bad that I’m wearing an outfit that has been passed down to me, and because no one passes down socks, I feel bad that I’m not wearing any. I feel bad when my friends pick up the tab and I feel bad when I go to the YMCA and my daughter is referred to as a “financially needy scholarship child.” I feel bad when I have to tell my kids “no” ten times more than many other parents have to do, and I feel bad when I haven’t slept in 72 hours because I’ve been so panicked about how I am going to pay my mortgage next month. And then I feel bad when people step into my home, take a look around, and assume that I’m lying or lazy, or whatever else they must think of me because we live in a nice home. No matter how hard I’m working or how far I’ve come, it doesn’t matter. As long as I’m trying and still not quite there yet, I will always be shamed because poor people aren’t allowed to have anything or be anyone; even a mother trying her best to give her kids a safe and happy life. The moment my kids and I appear to be anything other than poor, I am tossed to the side as nothing but a welfare scammer. So where does that leave me? I don’t know. I guess it leaves me exactly where I was last week, standing in front of someone who was judging me without even knowing my story. It leaves me as the mother who is easier to hate, than to take the time to understand.